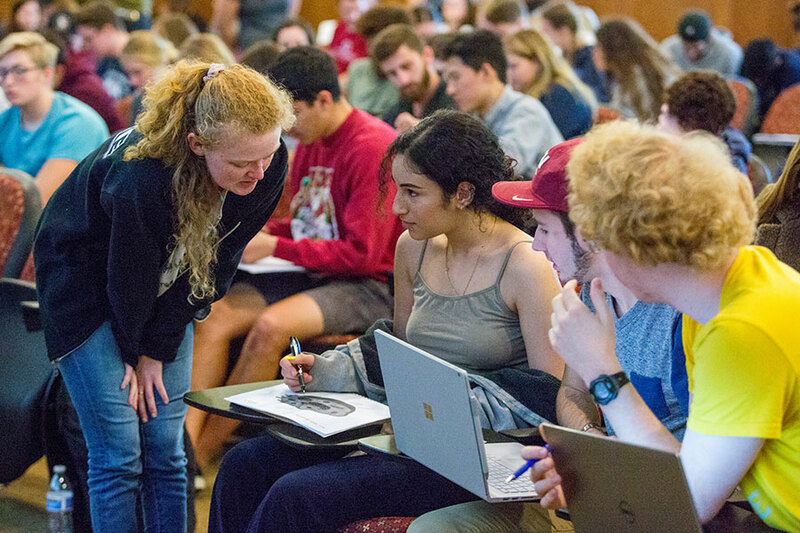 Marie Dennis, a teaching faculty member in the FSU Department of Biological Science, is using strategies shared by the Center for the Advancement of Teaching in her large lecture classroom. A Florida State University center dedicated to innovative, effective teaching is helping faculty engage their students using the latest research-based learning strategies. The Center for the Advancement of Teaching (CAT), created in 2017, curates and translates the most recent research on learning and classroom interventions to help faculty design more learning-centered classroom experiences for FSU students, according to Leslie Richardson, the director of the Center for the Advancement of Teaching. Taking a learning-centered approach to teaching means guiding students through their reasoning, rather than focusing solely on content, Richardson said. So, CAT supports faculty as they design learning experiences that help students develop their thinking. CAT offers course design seminars, workshops on creating exams and assignments, consultations with individuals and groups, and a variety of ways for faculty to get feedback on their teaching. For the first course design seminar, a four-day event in the summer of 2017, there were three times more applicants than the center could accept. 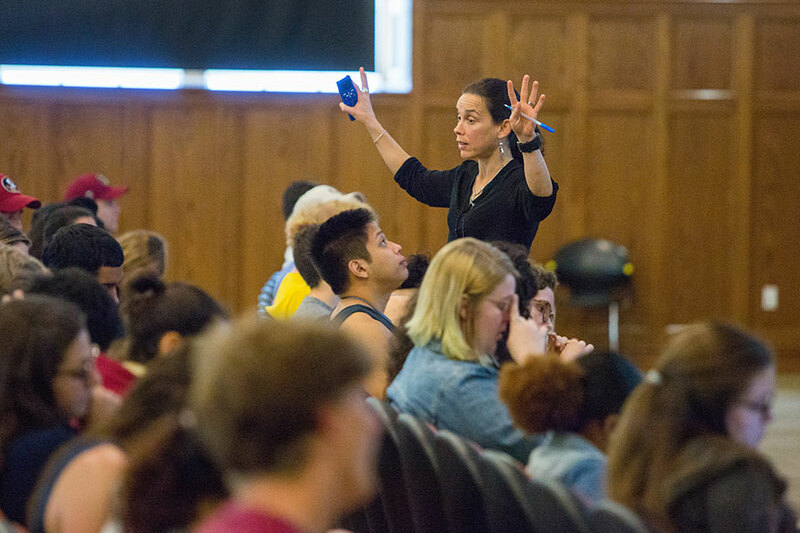 Diana Williams, associate professor of psychology, participated in the Course Design Seminar last summer to redesign her Introduction to Brain and Behavior class. The center provided the tools and guidance she needed to reassess course goals and transform the class from lecture only to an active learning style. The revised course features hands-on activities and a new approach to assessment that gives students frequent opportunities to practice critical thinking and problem solving. Kristen Guynes, who teaches American Sign Language classes in the School of Communication Science and Disorders, said the center has been instrumental to her growth as an educator. 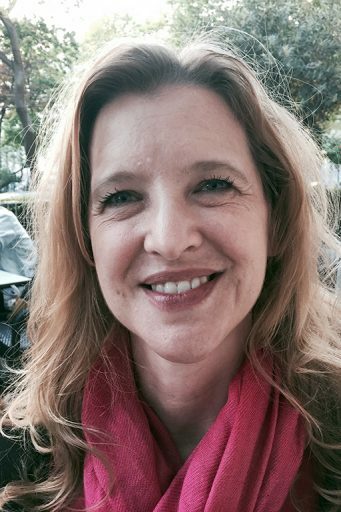 In fact, she received the school’s Undergraduate Faculty Teaching Award in November. Learning-centered methods benefit both students and faculty, Richardson said. Students benefit enormously when the learning experiences faculty build are crafted carefully. This semester, CAT is piloting a Learning Assistant (LA) program to support faculty who want to adopt learning-centered approaches in large lectures. Learning Assistants are undergraduates who have previously taken a course and work with faculty to facilitate small group activities like problem-solving during class time. Faculty in six departments have experimented with using LAs in their courses, and Richardson expects the program to grow. This semester, CAT is piloting a Learning Assistant (LA) program to support faculty who want to adopt learning-centered approaches in large lectures. The center also sends out weekly teaching tips and hosts faculty reading groups to discuss the latest research on learning. CAT’s reading groups allow faculty to connect with colleagues from other disciplines and share practical strategies for effective teaching. “These groups are very generative — a lot of fresh ideas and perspectives come from sharing these conversations with colleagues from other disciplines,” Richardson said. One of the featured titles this semester is “Improving How Universities Teach Science” by Nobel laureate Carl Wieman, a renowned physicist and educator. Wieman will visit Florida State and give a lecture, “Taking a Scientific Approach to Science Education,” at 11 a.m. Thursday, Feb. 14, at the College of Medicine Durell Peaden Auditorium. Wieman will discuss his research-based approach to science education and how new practices can provide more effective learning experiences for college-level science students. The event is sponsored by the FSU College of Arts and Sciences and the FSU-Teach program as part of the FSU-Teach 10-year anniversary celebration. For more information about the Center for the Advancement of Teaching, visit https://teaching.fsu.edu/.